Nature brings you close to your life and if you are not surrounded by some natural things painting like this works positively. 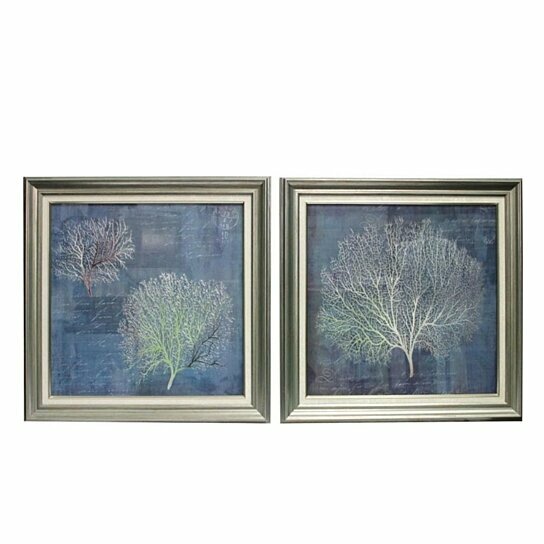 This is a amazing set of two nature wall decor featuring trees who shaded leaves , painted in good contrast of colors on a blue background, there are some text also written in background. Paintings are embedded in a gray wooden frame. These paintings can be displayed together on a wall or separately. This set is something really to grab soon. Artistic piece that crafted so well. Compliments both conventional and contemporary home style.